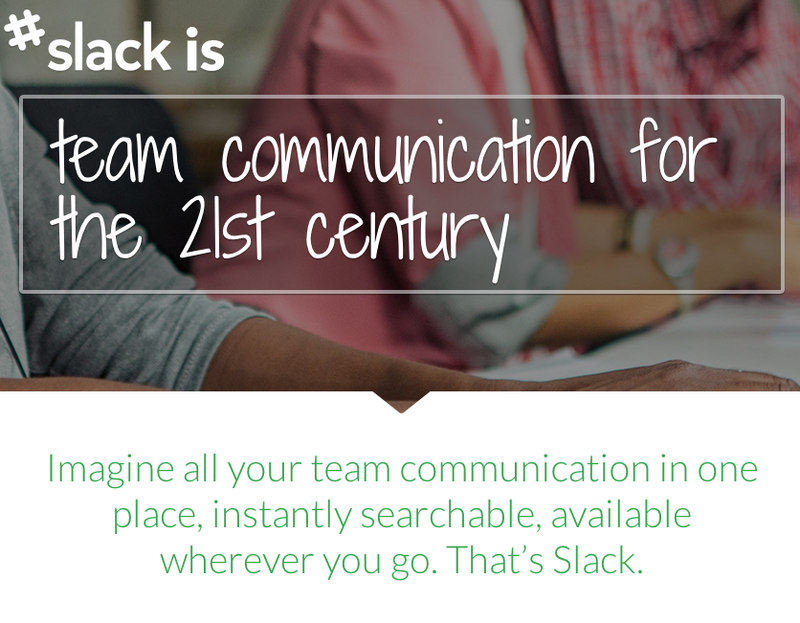 Improve Team Communication With Slack | Brand On! Slack is a gorgeous (dare I say slick) application for communicating internally within your company or organization. It combine elements of messaging (think Skype and chat) along with file sharing. To me, Slack could (and should) replace a lot of “conversations” that don’t belong in email strings. That, and it creates an internal repository of important files, links and more. You use Slack to create open or private “channels” for the projects, groups and topics that teams within your organization want to share. Everything is instantly shareable and searchable. Channels can include messages, files and comments; inline images and videos; rich link summaries; and integration with common services including Twitter, Dropbox and Google Drive. There are free native apps for iOS, Android & Mac desktop. Cost: Slack is currently free during its beta release; once the final version is released, there will be a free “lite” version and paid versions ranging from $8-15/user/month (for more features and file storage). Sign up now for free, and get a credit of $100 for your team if you decide to upgrade later.